I first encountered the ideas of Anton Baumstark in the fall of 2005, when I wrote a paper for my undergraduate early music history course that (badly) attempted to compare Byzantine, Gregorian, and Old Roman use of Psalm 67 (“Let God arise…”), specifically one of the cornerstones of his comparative liturgy project, the so-called Gesetz der Erhaltung des Alten in liturgisch hochwertiger Zeit (usually translated as something like “law of preservation of ancient practice in especially solemn celebration”). There’s not really anything salvageable in that paper, but it pushed me towards many of the things I do now, and Baumstark was effectively a “gateway drug” to other liturgical scholars of the twentieth century, such as Dix, Schmemann, Taft, and so on. Vom geschichtlichen Werden der Liturgie is a somewhat lesser-known work of Baumstark’s; it was published in 1923, a good eleven years before the publication of the lectures that would become the more famous Liturgie comparée (Comparative Liturgy). While the latter has been available in English translation since 1958, the former has only just been translated by Fritz West and published as On the Historical Development of the Liturgy. West, a liturgical scholar and UCC minister, has produced a very accessible and thoroughly annotated edition of the book, which hopefully will be thought-provoking and generative for a current crop of both liturgical historians and historians interested in liturgy. The readings in the Roman Breviary from the First and Second Books of Maccabees make for a singular impression, with their responses containing prayers for times of war and expressing a soldier’s delight upon seeing sunlight reflecting off of golden shields. Had the German people not become the preeminent guarantor of the Roman liturgy’s preservation and dissemination, these readings would have been hard put to maintain their impressive position in the lectionary of the office. Now they stand there as a towering monolith, recalling the proud days of the Vikings and bearing public witness against all would confuse the virile spirit of the church with programs for world peace, born of a weak and weary spirit. Could a nation in fact collapse utterly when suffering the heaviest blow fate could mete out in a national war of desperation if — in that decisive hour of its history — that nation were able to experience firsthand the Breviary prayer for the month of October in a liturgical setting? 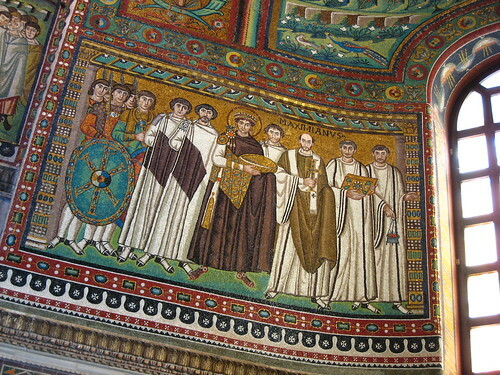 […] Without exception it was emotional values that the German people contributed to their adopted Roman liturgy… the full actualization of the German national character in liturgy was fettered by the use of Latin, a foreign language… one can only imagine how the Roman liturgy would have developed on German soil had the dialect of the Saxon troubadours, who chanted Heliand, had the opportunity of becoming the language it used for worship. Looked at another way, however, it is possible to see Baumstark’s project as tracing liturgical development in history as a way of constructing a Christian community that is truly universal, not just in geographic or national terms but in temporal terms — a way to establish a link to the Fathers, to putatively better times for German “Roman” Christianity in the person of Charlemagne (a figure constantly invoked by Baumstark), to Christ and the apostles themselves. [The liturgical partcipant] participates in the deepest life of them all: the life of the millenniums. His individual prayer becomes for him an infinitesimally small ringlet in a virtually endless golden chain, stretching from the earthly days of the Son of Man, when Jesus wandered upon the shores of the blue Sea of Galilee, until that final day when he will await the return of the Son of Man in the glory of the Father. Baumstark’s proposal is that the impact of historical factors — such as political developments, missionary activity, theological crises, and so on — on liturgical development leads to identifiable strata in the evidence, explicitly invoking geology as a comparable image (chapter 1). He begins tracing this impact through identifiable modalities in pre-Constantinian Christianity: differing liturgical practices in the private home and public gatherings (chapter 2), the Jewish synagogue (chapter 3), and the Hellenized world in Greece, Asia Minor, and beyond (chapter 4). This examination leads to the preliminary conclusion that the trajectory of liturgical development has been a fundamental diversity which are molded into increasing conformity (chapter 5). Following that, Baumstark examines how the fundamental diversity manifests regionally, with major cities functioning as strong centers of influence on surrounding regions (chapter 6). These centers tend to influence each other, such as Jerusalem and Constantinople in the East and Rome and Gaul in the West (chapter 7). The top-down influence of political and ecclesiastical elites on liturgical development, with Baumstark’s prime example being Charlemagne’s project of simultaneously forging a German identity that is Roman and a “Roman” identity that is unmistakably German (chapter 8). Monastic and urban practices represent another axis that tends to more or less blend together (chapter 9). Baumstark also argues that the impact of notable historical actors upon liturgical development is paradoxical but undeniable. The end result of the liturgy for the worshiper of any given period is necessarily impersonal, an object fundamentally rooted in communal experience, but looking backward, the hand of individuals must be acknowledged, be they hymnographers, ecclesiarchs, or putative “authors” of entire rites — but he is careful to point out that sometimes it is less significant that an individual actually had a particular liturgical impact than the community believes that person to be worth the attribution (chapter 10). Language and ethnic identity, as already discussed, are also important factors to be considered for Baumstark (chapter 11). At some point, rites tend to coalesce into more-or-less final forms with their own immutable tendencies and characteristics that reflect the various factors that have led to this point (chapter 12). This seems to inevitably give rise to a situation where liturgical language is frozen independent of vernacular usage, leading to a pastoral problem that a given rite has to figure out how to solve without losing its fundamental character. Baumstark argues that the West solved this problem by emphasizing Latin as a unifying characteristic of the Roman liturgy; the East by assigning to the deacon a role that mediates the action at the altar to the congregation (chapter 13). Rites may tend to let their characteristic tendencies completely overshadow their core liturgical function; here Baumstark specifically criticizes the East’s allowance of liturgical poetry to become a “thicket of rank growth, proliferating out of control (chapter 14). He also argues that the manifests in the East as a tendency towards overscripting the altar, turning the liturgy into a long exercise of personal devotion for the celebrant (chapter 15). In the West, at least, the coalescence into a final form has led to formal, top-down mechanisms of reform and pruning, starting with the Council of Trent. These mechanisms, according to Baumstark, generally work as intended in the West, although in the East similar attempts appear to have messier results, such as the Old Believer schism in Russia (chapter 16). Finally, Baumstark cautions, the scholar and worshiper must be careful with what they do with this kind of information, because of the clear limits of what we can conclude from our data. Of course, the methodology modeled by Baumstark is useless for predicting future changes, but epistemological boundaries exist looking backward as well. A historical understanding of the liturgy can enrich a present-day encounter, but without the context of direct experience, we can never completely ascertain the liturgical practices of a given time and place in their fulness (chapter 17). It seems to me that it would be useful to reconsider many elements of Baumstark’s perspective anew. Off the top of my head, some possibilities of what could be done seem to be — how does a periodization model that includes late antiquity impact how these arguments are articulated? How does a model of center and periphery clarify the relationships of geography and liturgy? How could recent explorations of sensory experience in liturgy allow us to rethink the text-heavy emphasis? How do frameworks such as Benedict Anderson’s imagined community illuminate the various social dimensions of the liturgy? How does Paul Connerton’s work on inscribed vs. Incorporated memory suggest further pathways to better understanding Baumstark’s argument that the liturgy functions “trans-historically”? How does the identification of orientalism as a problematic meta-narrative help us to tease apart Baumstark’s tendency to view development in the East as self-indulgent overgrowth, while the character of Roman liturgy is the standard to which everything else adheres or from which everything else falls away? How might the methodology of ethnomusicology help us to better understand the ways in which the liturgy expresses characteristics and tendencies of the worshipping community? If the liturgy is itself an object that belongs to the community, can we push that further and try to talk about a given rite, or a given section of a rite, as a “thing”? Those are all very theory-heavy ideas from somebody who generally only half-jokingly introduces himself as a “paleostructuralist”, but they strike me as having the potential to be genuinely illuminating and generative of further discussion. They also have the extra advantage of being the kinds of approaches that would make liturgical matters relevant to historians who are not liturgical specialists. West’s translation is quite lucid and readable; the annotations are generally very useful, if verging on repetitive at times. He also includes a collection of short biographies of all historical figures mentioned, which in and of itself is an invaluable reference. There are minor errors, such as the claim that the Syriac language is named for historic Syria (it appears to have nothing to do with the historic region, with its origins as a distinct literary language apparently being in Mesopotamia). There also seems to be some fuzziness on the specifics of Eastern liturgical forms; Baumstark refers to the Latin Stabat mater text as “a Western counterpart to the ancient Syrian-Greek lament heard from Mary at the cross,” most likely a reference to the genre of Eastern hymn known as the stavrotheotokion, but West’s note relates it to the ninth ode of the canon for Holy Saturday (“Do not lament me, O Mother…”), which seems to me improbable. Nonetheless, West has made a most valuable contribution by making this book accessible to English audiences. I can’t help but wonder what Baumstark would have thought about the developments in the Roman liturgy post-Vatican II; would his framework have allowed him to understand the changes in terms of continuity? I expect not, but that may be something for others to argue about. Anderson, Benedict. Imagined Communities. 2 ed. New York: Verso, 2006. Baumstark, Anton. On the Historical Development of the Liturgy. Translated by Fritz West. Collegeville: Liturgical Press, 2011. Boulay, Juliet du. Cosmos, Life and Liturgy in a Greek Orthodox Village. Edited by Denise Harvey, The Romiosyni Series. Limni, Evia: Denise Harvey (Publisher), 2009. Brown, Bill. “Thing Theory.” Critical Inquiry 28, no. 1 (2001): 1-22. Brown, Peter. The World of Late Antiquity: Ad 150-750. Edited by Geoffrey Barraclough, Library of World Civilization. London: W. W. Norton and Co., 1989. Coakley, J. F. Robinson’s Paradigms and Exercises in Syriac Grammar. 5 ed. Oxford: Oxford University Press, 2002. Connerton, Paul. How Societies Remember. Cambridge, England: Cambridge University Press, 1989. Galtung, Johan. “A Structural Theory of Imperialism.” Journal of Peace Research 8, no. 2 (1971): 81-117. Harvey, Susan Ashbrook. Scenting Salvation: Ancient Christianity and the Olfactory Imagination. Edited by Peter Brown, The Transformation of the Classical Heritage. Berkeley: University of California Press, 2006. Jeffery, Peter. 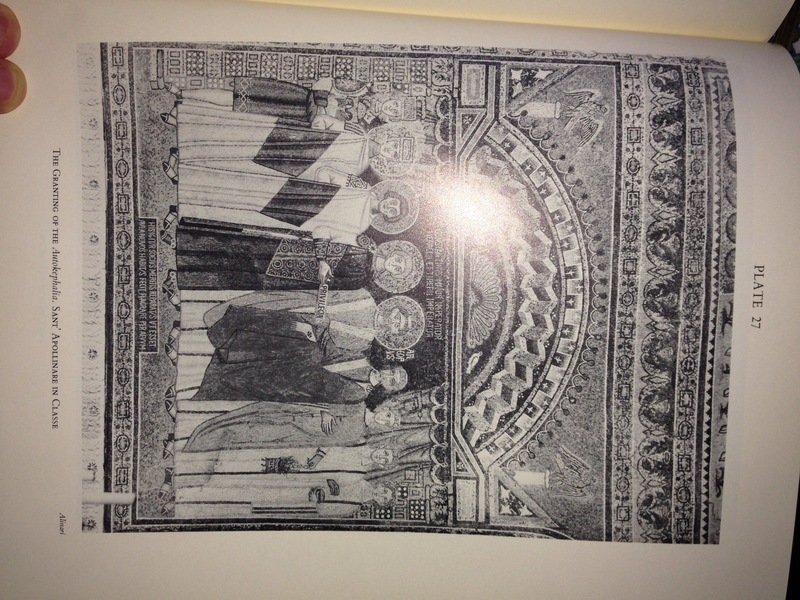 Re-Envisioning Past Musical Cultures: Ethnomusicology in the Study of Gregorian Chant. Edited by Philip V. Bohlman and Bruno Nettle, Chicago Studies in Ethnomusicology. Chicago: University of Chicago Press, 1992. Said, Edward. Orientalism. New York: Vintage Books, 1994. Reprint, 2003. Anton Baumstark, On the Historical Development of the Liturgy, trans. Fritz West (Collegeville: Liturgical Press, 2011). Peter Brown, The World of Late Antiquity: Ad 150-750, ed. Geoffrey Barraclough, Library of World Civilization (London: W. W. Norton and Co., 1989). e.g, Johan Galtung, “A Structural Theory of Imperialism,” Journal of Peace Research 8, no. 2 (1971). Notably, Susan Ashbrook Harvey, Scenting Salvation: Ancient Christianity and the Olfactory Imagination, ed. Peter Brown, The Transformation of the Classical Heritage (Berkeley: University of California Press, 2006). Benedict Anderson, Imagined Communities, 2 ed. (New York: Verso, 2006). Paul Connerton, How Societies Remember (Cambridge, England: Cambridge University Press, 1989). Edward Said, Orientalism (New York: Vintage Books, 1994; reprint, 2003). e.g, Juliet du Boulay, Cosmos, Life and Liturgy in a Greek Orthodox Village, ed. Denise Harvey, The Romiosyni Series (Limni, Evia: Denise Harvey (Publisher), 2009). Also, Peter Jeffery, Re-Envisioning Past Musical Cultures: Ethnomusicology in the Study of Gregorian Chant, ed. Philip V. Bohlman and Bruno Nettle, Chicago Studies in Ethnomusicology (Chicago: University of Chicago Press, 1992). Bill Brown, “Thing Theory,” Critical Inquiry 28, no. 1 (2001). Baumstark, Historical Development, 56, n. 1. J. F. Coakley, Robinson’s Paradigms and Exercises in Syriac Grammar, 5 ed. (Oxford: Oxford University Press, 2002), 1, n. 1.